Pink Peppermint Cards: Crafin Desert Divas August Release Blog Hop - Day 2! 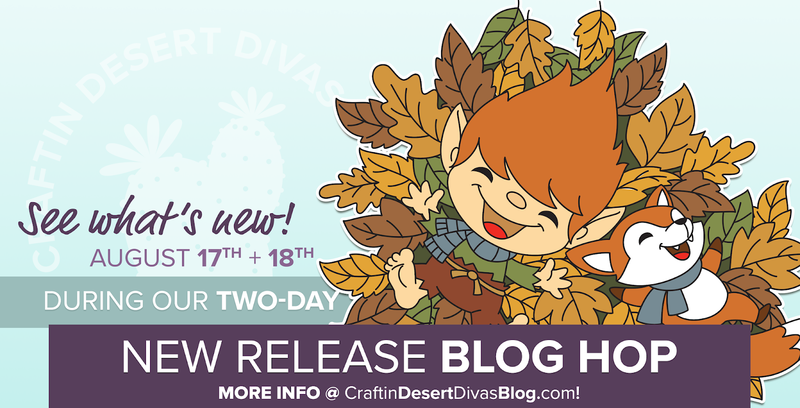 Crafin Desert Divas August Release Blog Hop - Day 2! 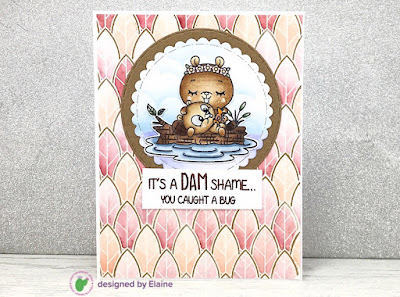 Today I'm excited to be sharing another card featuring stamp images from the August 2018 release. 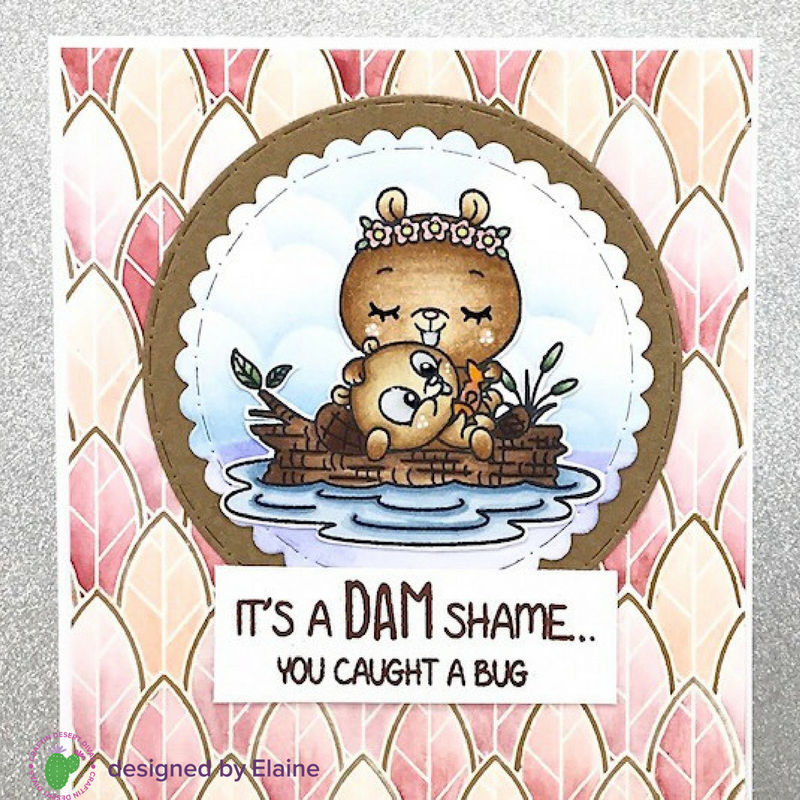 Rich coloured crisp leaves, fall friends and more make this release absolutely precious! 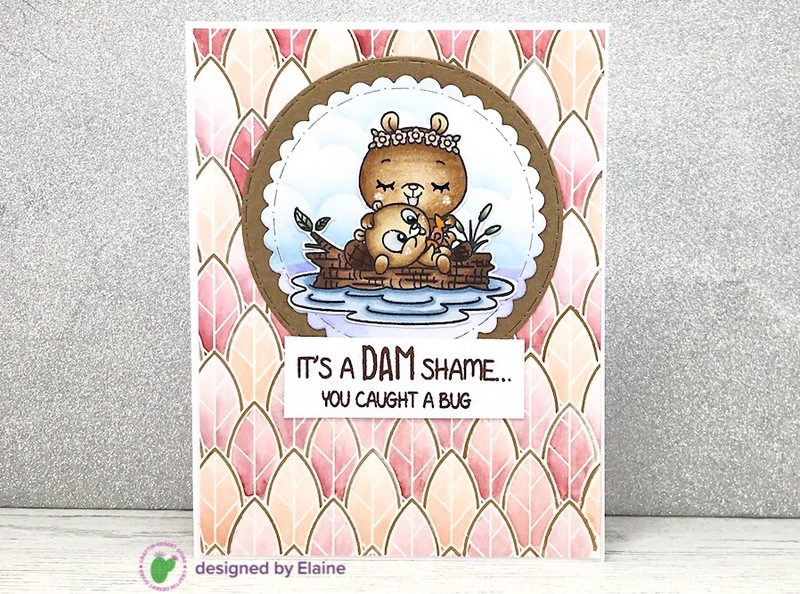 Once you've hopped all the way along, head over to the Craftin Desert Divas shop to snag your special discount - 5% off through 8/19. 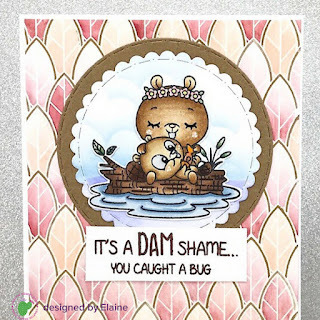 In today's card I have used the new stamp set, Dam Shame, along with the new Leafy Background stamp and I think it turned out just darling! For this card I stamped and heat embossed the leafy background on to some Bristol Smooth Cardstock with clear embossing powder. I used my new favourite distress inks for fall - Aged Mahogany, Victorian Velvet & Tattered Rose. I placed a small amount of distress ink on to an acrylic block and then used my water brush to place most of the colour at the base of the leaf and pull it out to fade the colour and create a subtle gradient effect. For the outside of the leaves I used the gold paint from my Kuretake Gansai Tambi watercolor set. The beaver image was coloured using my copic markers and I fussy cut out my image. I then cut a circle from white cardstock using the Stitched In Circle Dies. I used some tumbled glass distress ink to create some fluffy clouds using the new Hill Scene 2 stencil. I used blueprint sketch to gently blend on some ink to create the look of water. I then glued all my layers together and secured to a white cardbase.